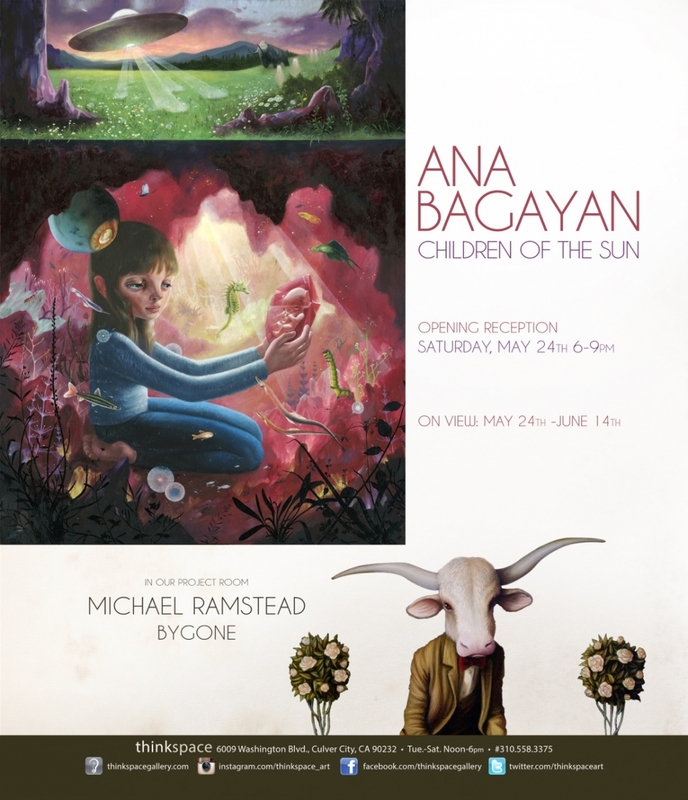 Thinkspace (Los Angeles) – is pleased to present Children of the Sun, the gallery’s second solo exhibition of new work by Armenian born, Big Bear based, artist Ana Bagayan. Bagayan’s work is inspired by her fascination with the metaphysical, and by a creative preoccupation with the limitless possibilities of the unknown. Working predominantly with oils on canvas, Bagayan creates discrete worlds and cryptic narratives with intentionally mannered portraiture and supernaturally inspired imagery. Working with a highly stylized aesthetic, her evocative paintings combine an expert use of illustrative detail with an intuitive approach to symbolism. Combining elements of the familiar with the speculative limitlessness of the inexplicable, Bagayan’s vision haunts like a trance; seamlessly combining strange beauty, child-like wonder and the inscrutable feeling of dream. Bagayan’s paintings of wide eyed girls, anthropomorphous animals and preternatural creatures exceed the limits of the real. The beautiful strangeness of her vision suggests, nonetheless, a distinct feeling of human pathos, both affectively compelling and relatable. 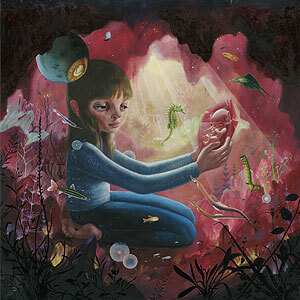 Combining the innocence and darkness inherent to fantasy, her work captures the uncanny ambivalence of the surreal. Thematically, the works in Children of the Sun explore a myriad of encounters and transformations, as Bagayan’s protagonists become witnesses to, and participants in, the mysteries of a hypnagogic universe. The artist taps into an imaginative ethos compelled by the freedom of possibility; equal parts magic realism, apparition and intergalactic invention. With an interest in everything from the extra terrestrial to the ghostly, her new work draws from the inexhaustible potential of imagery to invoke the vastness of worlds beyond our own. Bagayan has used the term “futurealism” to refer to her own work; an idea that appropriately suggests the sense of futurity, expansiveness and beautiful incongruity in her ever evolving output. An artist with a mutable approach to the formal and stylistic execution of her painting, Bagayan demonstrates an experimental desire to continue evolving it dynamically. Children of the Sun unites the strange aberrance of the alien with the vaguely Utopian optimism of future possibility – an apt metaphor for a phantasmal vision that knows no bounds. Bagayan’s work is best described as a lingering haunting of possibility; spectral and yet close, and constantly emerging from beneath and beyond.